North American joint venture Meritor WABCO, which develops and delivers proven, integrated safety technology and efficiency components, urgently needed to address SAP support issues, add new processes and drive better engagement among, and visibility for, business process owners. The company tapped long-time SAP support services partner itelligence to collaborate on the right cost-effective, long-term solution. We encourage you to read THIS CASE STUDY to learn how the companies partnered to transition Meritor WABCO’s internal support approach to a fully hosted SAP Application Managed Services approach led by itelligence. Find out how the companies achieved their mission in an impressive two-month period and how itelligence’s proprietary Transition.it methodology played a key role in the process. 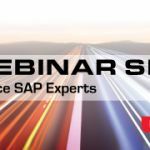 Finally, learn how Meritor WABCO has benefitted from itelligence SAP support services in many ways, including realizing higher value from their SAP investment and achieving a more profitable business model. Most importantly, learn how a similar transition may be just what your organization needs! Learn more about itelligence Application Management and SAP Support Services.